ELB-SHBfrom One Stop Systems Inc.
MaxExpress Expansion Systemfrom One Stop Systems Inc.
New SPX Modulesfrom VersaLogic Corp.
Their small size (1.2” x 3.775”), low cost, and simplified system interface is possible due to newfound levels of integration and miniaturization SPX Expansion modules can be mounted remotely up to two feet from the host via a 14-pin cable, or directly to the board using PC/104 stand-offs. SPX modules can be used with baseboards (single board computers) that include an SPX Expansion connector. All VersaLogic SPX modules are fully RoHS compliant, and are backed by VersaLogic's standard two-year limited warranty. All SPX modules are rated for extended temperature operation (-40º to 85ºC). 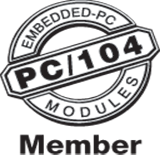 PCI-based FPGA processorfrom GE Intelligent Platforms, Inc.
Pipal 2060from AR Infotek Inc.
Max Express PCIe Host Interface Board (HIB)from One Stop Systems Inc.
Nuvo-2500 Fanless PC with Expansionfrom Neousys Technology Inc.
3-slot PCIe Expansion Backplanefrom One Stop Systems Inc.
SYS-405D - Rugged Industrial Computer with Expansionfrom WinSystems, Inc.
PCIe x4 host interface boardfrom One Stop Systems Inc.
VP F1x/msdfrom Concurrent Technologies, Inc.
XP-10E Expansion Systemfrom SIE Computing Solutions, Inc.
SolSTAR-VME from Solflower Computer, Inc.
Pipal 2030Cfrom AR Infotek Inc.
FLEXDS560+ JTAG PCI Emulatorfrom DSP Research, Inc.
Enterprise Profrom ImageStream Internet Solutions, Inc.
All ports support wire-speed operation with dedicated processing for demanding applications such as firewall, QoS, IPsec VPN, dynamic routing, line bonding, etc. PMC901from GE Intelligent Platforms, Inc.
3U CPCI Host Expansion Board (HEB)from One Stop Systems Inc.
mITX-945E-ERfrom GE Intelligent Platforms, Inc.